Last October I talked about Andy Greenberg, senior writer for Wired, Charlie Miller, security engineer for Twitter, and Chris Valasek, director of vehicle safety research at Idactive creating an informative video to show how the safety features in cars can be hacked through the internet. You can see that here. 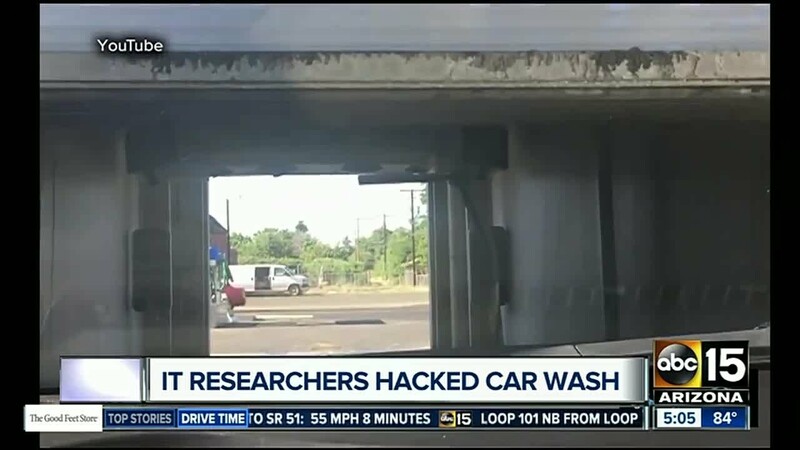 I come to you nine months later with more interesting news; now you can drive your hacked car through a hacked car wash that will destroy your car and trap you in there.